What would Jimi Hendrix be doing now if he hadn’t died in 1970? Would he have moved in a jazz direction and turned his back on mainstream rock? How about Jim Morrison? Abandoned music to become an expatriate poet in Paris? What about Janis Joplin? Nick Drake? Kurt Cobain? Speculative music journalism is a small, but interesting, genre that posits fictional stories and theories that attempt to answer similar questions to the above. 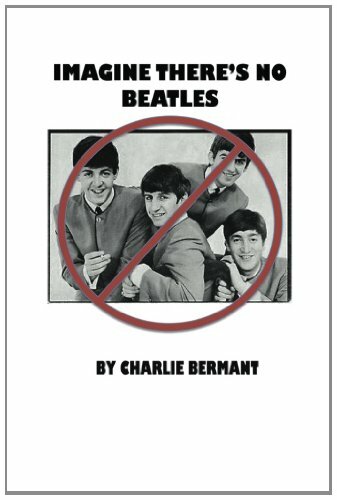 Writer Charlie Bermant has self-published a slim, humorously speculative volume called Imagine There’s No Beatles. Presented as a collection of imagined news articles, the book puts forth the scenario that the Fab Four died in a boat explosion while on tour in The Philippines in 1966. In a series of faux clippings from The Associated Press, Variety, 16 Magazine, Rolling Stone, Time and others, the short-term legacy of the band is played out with the posthumous release of the recordings which would have comprised Revolver. Bermant does a good job outfitting each piece in the style of the publication it’s purportedly from, as well as using key historical figures in an authentic way to contextualize and flesh-out the “reportage”. Hmmm…a world without “Stayin’ Alive”…maybe a good thing?